John Flood's Random Academic Thoughts (RATs): Shopping Around for Lawyers? Jon Robins at Jures has produced a research report, entitled "Shopping Around", on what consumers want from the new legal services market. (HT to the Times.) It's based on a YouGov survey of 2000 adults in England and Wales. The research is therefore prospective examining what consumers might want after the alternative business structures come into play in September 2011. Asked if they would prefer to buy their legal services from Tesco, Marks & Spencer, Barclays Bank, or Virgin, consumers plumped in the main for Marks & Spencer over the others. But don't think this was an overwhelming win as only 14% were drawn by a known brand. According the research the prime criteria for consumers were quality of service and fixed prices (60% and 35% respectively). Brand name and cheapness scored low. Have you ever sought legal advice from a lawyer or solicitor? If the answer is 'Yes', in your opinion did that advice represent good value for money? Answer: Almost half of clients felt their experience of lawyers represented poor value for money. Since this is based on something which doesn't yet exist, if anything it tells us that consumers are in the dark about the changes coming down the line. Only one supermarket is offering legal services, the Coop, Its website is not easy to navigate nor is taking off. I would imagine that if Tesco and Marks & Spencer do offer legal services it will be as part of a package, maybe rolled into a financial services offering which they already do via their credit cards and insurance policies. Legal services in themselves are not an inspiring buy: they are approximately on the same level of utilities. You need them but you resent the prices charged. So it might be possible for the supermarkets to market these services more attractively than they are at present. 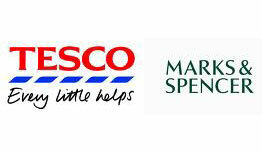 The Jures research does show that this is not an easy one-way drift for Tesco law. It will have to work hard if it is to wean consumers away from traditional suppliers. The research also shows by implication that for lawyers to remain in the game they are going to have to improve their services, retool their approach, and radically rethink how they charge for their work. None of this is too difficult if they can think imaginatively. Well, they have 15 months left to do it in. That's when the ABSs start. Start thinking! Absolutely awful. You're right, Peter. I think it's (poorly) designed to make people telephone them. Primitive.